Jonah is a book that is packed with practical lessons for any person who is a follower of Jesus Christ. It is a book that teaches us that it is impossible to flee from the presence of God. It is a book that teaches us that our sin and rebellion against God affects others and sometimes puts others in danger. It’s a book that teaches how racial resentment can be so deep that it can blind us from heeding the commands to preach the gospel. It teaches us that God’s grace and the gift of repentance are extended to the most wicked of people. But above all things is the singular message that God is ultimately in sovereign control over whales and winds, gourds and people. Jonah 2 From Rebellion to Repentance Last week we read about Jonah, the rebellious and reluctant prophet. This morning we read about Jonah, the remorseful and repentant prophet. After the whale swallowed up Jonah, we learn that he did not repent immediately. It wasn’t until the third day that he cried out to God. 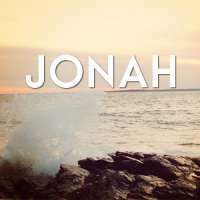 There is no doubt in Jonah’s mind that God orchestrated every single event that led him to repentance. Scripture declares, “My son, despise not the chastening of the Lord; neither be weary of his correction: For whom the Lord loveth he correcteth; even as a father the son in whom he delighteth.” (Proverbs 3:11-12) Like Jonah, you and I as followers of The Lord Jesus Christ will be chastened and corrected by The Lord when we are out of His will. Jonah experienced the mercy and forgiveness of God when he turned to Him with a broken and contrite heart. Jonah declared these words of comfort and hope for all who sin and fall short of the glory of God but who turn to Him for mercy: “Salvation is of The Lord.” (Jonah 2:9c) If you are a child of God and are running away from His will for your life, you will get swallowed up until you stop making excuses and confess and repent of your sin. Forgiveness of our sin presently is as much a part of the gospel message as is forgiveness of sins of our past and future. Salvation is of The Lord. Jonah 1 YOU CAN’T RUN FROM GOD The story of Jonah is one that is well known. Even people who do not espouse to any “religious beliefs” or “spirituality” have heard of the story of Jonah being three days and nights in the belly of a great fish. Jesus Himself believed the literal account of Jonah and the whale (or great fish). He said that it was a type of how He would be three days and three nights in the belly of the earth before He rose again (Matthew 12:40). Hallelujah! Jesus is risen, beloved. Truly, the good news of salvation is of The Lord and from The Lord. But Jonah is a book that is packed with practical lessons for any person who is a follower of Jesus Christ. It is a book that teaches us that it is impossible to flee from the presence of God. It is a book that teaches us that our sin and rebellion against God affects others and sometimes puts others in danger. It’s a book that teaches how racial resentment can be so deep that it can blind us from heeding the commands to preach the gospel. It teaches us that God’s grace and the gift of repentance are extended to the most wicked of people. But above all things is the singular message that God is ultimately in sovereign control over whales and winds, gourds and people.